With assurances of peace and good health, Angel Number 1133 encourages you to give up all of those fears and worries that are weighing you down. They will lead to a worry-filled future. If you are unsure of how it is all working out, remember that your angels and the higher powers are close by to take those worries off of your hands and make sure that you get inner peace. 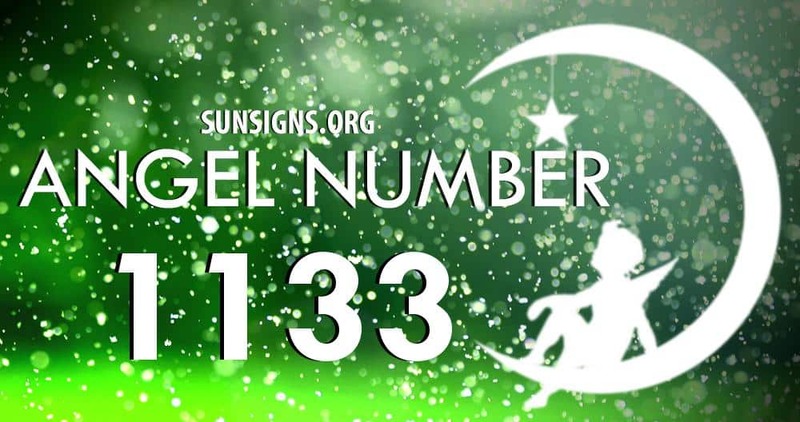 This angel number 1133 will lead you to all sorts of great decisions and a positive future. It is a long process, but a good one. Angel Number 1 pushes that message future – especially in its three time appearance – with the reminder that getting rid of those insecurities is going to lead you all things positive and spiritual if you just believe in the future that your guardian angels and divine powers are creating for you. They will not lead you wrong, even if you can’t see it, yet. Angel Number 3 is a reminder that communicating and helping those around you will lead you to great joy. Angel Number 11 assures you that inner light and faith in the angel numbers will encourage others to trust you and follow your example. Make sure you help them along the way. Angel Number 33 assures you to be brave and firm in your beliefs no matter what stands in the way. Angel Number 113 reminds you to follow your intuition. It won’t steer you wrong and will help in making those big decisions. Angel Number 133 whispers of change that is headed your way. Trust your angels and that they are ready to help you create a good future. Angel number 1133 asks you to believe in the higher powers to bring you towards all of the fantastic results that you have worked hard to create and nurture.